We offer top quality conveyors. Our conveyors are catering to the needs of various industries such as packaging industries, automotive industries, assembly lines and pharmaceutical industries. 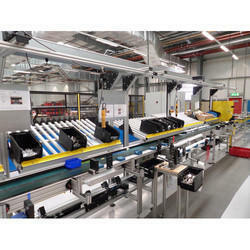 These conveyors have tremendously helped in improving the production line. 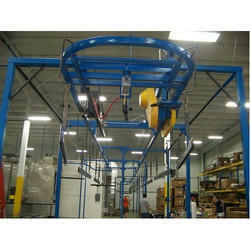 We offer top quality Assembling Line Conveyor. Our conveyors are catering to the needs of various industries such as packaging industries, automotive industries, assembly lines and pharmaceutical industries. These conveyors have tremendously helped in improving the production line. 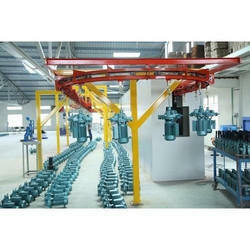 We offer Paint Shop Conveyor, that are designed according to the clients' requirements. Fabricated using latest technology, these conveyors tremendously help in improving the production line. Our conveyors are known for their high-performance standards and quality tested in order to meet the prevalent industrial standards. We offer Overhead Conveyor System, which is cost effective and exceptionally conveyor system. This system is capable in solving all types of material handling requirements of different industries e.g. Tea factories, Automobile, Tractors, Leather industries, Ceramics, Cement, paper, chemical etc. This system saves cost, as this is easy to maintain and considerably save floor space to increase labour productivity.